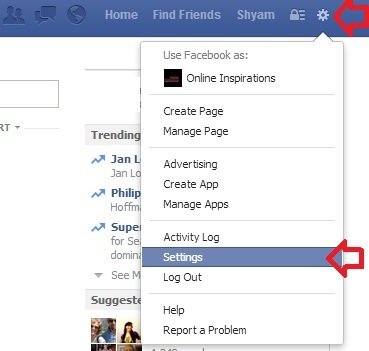 If you would like to hide your Facebook time-line details from Search Engines like Google, Yahoo, Bing etc, follow the steps below to configure your privacy settings. 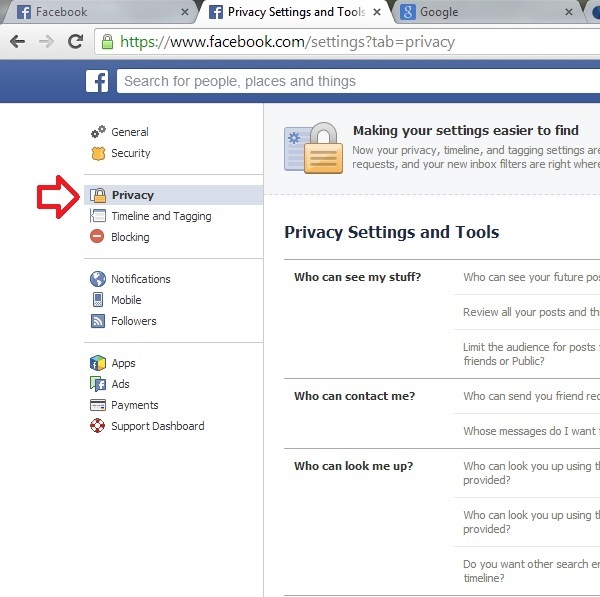 In the ‘Settings’ page click on the ‘Privacy’ on the left side. 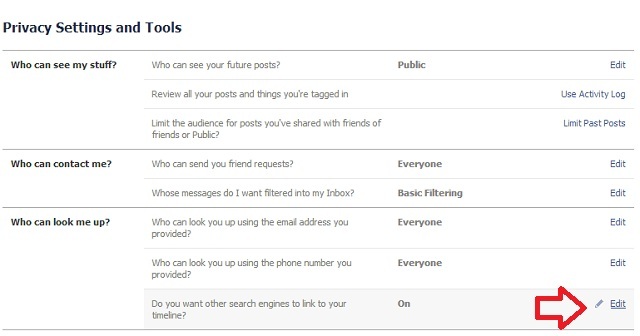 In the ‘Privacy Settings and Tools’ section, go to ‘Who can look me up?’ section, and click ‘Edit’ option for ‘Do you want other search engines to link to your timeline?’. ‘Confirm’ the ‘Are you sure’ dialogue.